If you’re looking for a great book to teach you about writing, pick up a copy of Writing Magic: Creating Stories that Fly by Gail Carson Levine. Best known for Ella Enchanted, Levine shares her wealth of experience with young writers. With helpful advice on beginnings and endings, writing dialogue, shaping characters, when to show and when to tell, how to come up with ideas and more this will become an often referred to resource. The chapters are short enough to be digested in one sitting and followed up with a writing exercise to illustrate the point. Even as a seasoned writer I found these exercises worthwhile. 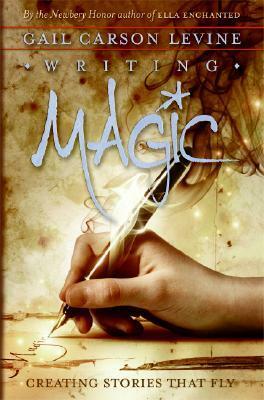 If you have an interest in writing, Writing Magic should be on your “TBR” list. I borrowed this book from our local library. This review contains my honest opinions, which I have not been compensated for in any way.